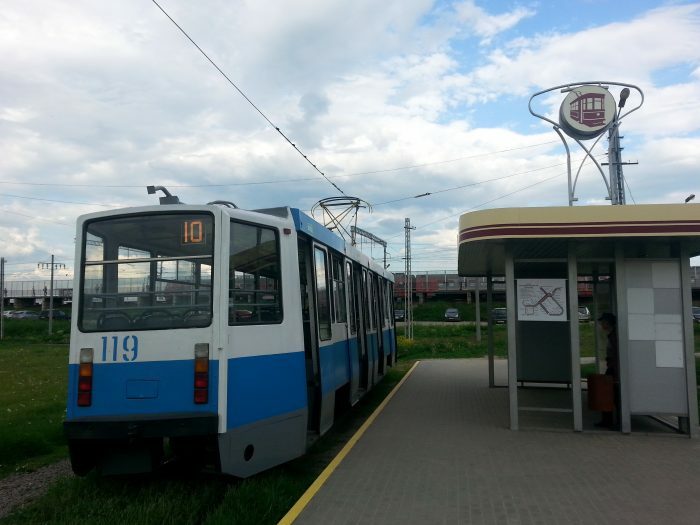 The museum residency “Artkommunalka. Erofeev and Others” is a partnership project between Independent State Cultural Institution of Moscow region “Centre of Cultural Initiatives” and Independent non-profit partnership Kolomna Posad, with the support of the Culture Ministry of Moscow Region. The opening of the Kolomna Museum-residence on 1st December 2011 coincided the day of Nikita Khrushchev's visit to the avant-gardists exhibition at the Manezh on 1st December 1962. The Museum captured the feel of the 60s of the Soviet Kolomna era, evoke the features of communal way of life and the Khrushchev thaw dissident esprit. The museum residency is situated at the very heart of the Old Town and Kolomna most revolutionary crossroads at the corner of the October Revolution Street and the Square of the Two Revolutions. The museum residency windows command a fine panorama of the old market square and the two revolutions memorial, the small Lenin statue and the St. John the Evangelist Church. Its bell-tower is the most prominent vertical of the Old Town. The scene from the window as a quaint triptych is one of the centrepieces of the museum residency exhibition. Artkommunalka is situated in the building which is notable for its being a major pivot point in the fate of the writer Venedikt Erofeev. “Venichka” Erofeev was send down from the Institute in 1963. He became a labourer in the wine section of the Ogonyok delicatessen shop. It was exactly at this point that his “very way of life” began – a life of wandering and creative freedom. Banished from Kolomna half a century ago for daring to be different, Erofeev has returned to the city once more. He has returned to give the city the opportunity to suffer, to comprehend and to accept a Different experience, a Different feeling, a Different person. The recognised genius of Venedikt Erofeev’s creative freedom has become the genius of the museum residency’s location. The Time, the Location and its Genius predetermined not just the name and unusual format of Kolomna’s new cultural venue, but its mission as well – to start a permanent creative revolution and generate modern art in the historical centre of an historical city. Its ultimate goal is to depressurise the urban environment and make it open, emotionally comfortable and tolerant. 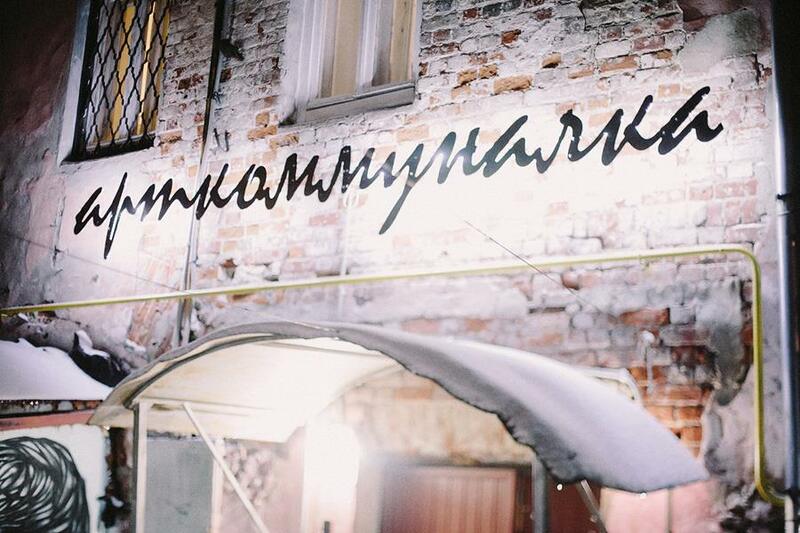 Artkommunalka operates in the format of a residency for artists and writers who are creating new art and new literature right here, right now. The art residency and literature residency work as an open funding laboratory and workshop all year round. Art residents 2012 Misha Le Jen (Saratov, “А, К, Ц, И, И” exhibition), Vita Buivid (Moscow, “Past painted” exhibition), the “Mylo” [Soap] duet (St. Petersburg, “The State of Things” exhibition), the “Archaeopteryx” art group (Izhevsk-Berlin, “Catching Fleas in Kolomna” exhibition), Mirona Radu (Romania, “24 Years in 24 Shades of Solitude”), the “Sinie Nosy” [the Blue Noses] art group and Evgeni Ivanov (Moscow-Novosibirsk, “Russian Monsters” exhibition). Art residents 2013: Anton and Pavel Yakushev (Kolomna, the “Heavy Illustration” project based on V. Erofeev’s poems “Moscow-Petushki”), Peter Bauhuis (Munich, “Lost Treasures – a free interpretation”), Mihaela Dashkova (Nothing happened in Kolomna), the creative union “Where Dogs Run” (Ekaterinburg, “Pause” exhibition installation). Art residents 2014: Sergey Ponomarev (Kolomna, the “Agitpattern” project), Alexandra Mitlyanskaya (Moscow, “A Collection of Exercises in Russian Spelling”), Aleksey Ermolaev (Kolomna, “The Dream of a Ridiculous Man”), Erik Goengrich (Berlin, “Kolomna 1991-2014”), Elena Skripkina (Moscow, “The Invisible Father”). Art residents 2015: Igor Ulangin, Alexandra Grach (“Jasmine Keeps Blossoming”), Ekaterina Kravtsova (“Communal Anecdotes”), Elena Skripkina (“Archeology of Reflective Bodies”), Ivan Ninety (“Fragments and Finds), Maria Baturina (“Pathology of Cell or Scenes of Family Life”). Art residents 2016: Luke Clark and Elisabeth Clark ("Between Words"), Frukty Group ("Caution, Water! "), Evgeny Muluk and TUMIRUMI (Re: Walls), Sergey Poteryaev ("Kolomna CREW"). Art residents 2017: Vladimir Abikh (Saint Petersburg, “The Fourth Wall”), Fruit (Viktor Ershov, Perm, “Shadows come to life at midnight”), Anna Yozhikova (Saint Petersburg, “Comic strip “The treasure”), Christopher Hough (East Sussex, UK, “Lost in translation). Art residents 2018: Iryna Hauska (Stockholm, Sweden, Crochet art installation “The feminine stories”), Elizaveta Morozova (Moscow, “The burdock poetry”), Lee, Sujin (Seoul, South Korea, “The performance art of the translation”), Roman Moshensky (Leninogorsk, the Republic of Tatarstan, “Place and time”), Elena Utenkova and Mikhail Tikhonov (Moscow, “Wherever the road takes you? Chasing the point of happiness. Kolomna skirts”) . The literature residency is, by its very nature, a laboratory of meanings – a “writer’s study” with the opportunity for face-to-face contact with the public and the residents of the city. ArtKommunalka’s literary residents and inhabitants include: Natalya Shmelkova (Moscow, 2012), Slava Len (Moscow, 2012), Sergey Levitov (Chaplygin-Ranenburg, March-April 2013), Denis Osokin (Kazan, April-May 2013), Evgenia Romanova (Kaliningrad, May 2014), Sergey Veprev (Mariupol, August-September 2014), Svetlana Shteba (Perm, February-March 2015, “Familiarizing the Space”), Elena Utenkova-Tikhonova (Moscow, November-December 2015, “Christmas Tree in the Room/New Children’s Encyclopaedia”), Dmitry Danilov and Alexey Mikheev (Kolomna Travelogue, June 2016), Elena Shchetinina (Omsk, Word Belief), Elizaveta Trusevich (Moscow, Stage play “…as one big communal flat”), Alexandra Kostina (Moscow, Kolomna mirror), Dmitry Danilov (Moscow, “Wallchat: Kolomna verbatim”, August-September 2018), Tiny art society Comrades (Tatyana Troshchinskaya-Stepushina, Natalya Domoratskaya) (the Republic of Belarus, Vitebsk, “Venedikt Erofeev and Marc Chagall: concepts and images dialogue”, July-August 2018). Artkommunalka hosts educational classes, master classes, expert meetings, lectures by specialists and musical events – all of which fuse together around the creative people involved in the museum residency, generating a new and much-needed intellectual space for the modern inhabitants of the city. Address: d. 205, ul. Oktyabr’skoy Revolyutsii, Kolomna, Moscow Region (please use the courtyard entrance).